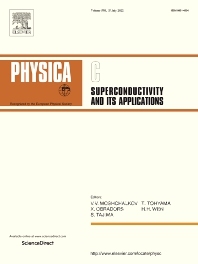 Physica C (Superconductivity and its Applications) publishes peer-reviewed papers on novel developments in the field of superconductivity. Topics include discovery of new superconducting materials and elucidation of their mechanisms, physics of vortex matter, enhancement of critical properties of superconductors, identification of novel properties and processing methods that improve their performance and promote new routes to applications of superconductivity. 1. Papers that substantially increase the understanding of the fundamental aspects and mechanisms of superconductivity and vortex matter through theoretical and experimental methods. 2. Papers that report on novel physical properties and processing of materials that substantially enhance their critical performance. 3. Papers that promote new or improved routes to applications of superconductivity and/or superconducting materials, and proof-of-concept novel proto-type superconducting devices. The editors of the journal will select papers that are well written and based on thorough research that provide truly novel insights.